Obituary – Williams, Meredith Evonne « Perry High School Alumni Association, Inc.
All School Revue ’60-’61, Christmas Vespers ’60-’61. Evonne Williams, 67, of Lucien, passed from this life on September 23, 2012 in Perry, surrounded by her loving family. 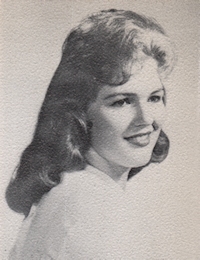 Meredith Evonne Braden was born on June 2, 1945 to John and Vera Blanche (Gorman) Braden in Perry, OK.
She attended Lucien and White Rural Schools before graduating from Perry High School. In 1962, she married Freddie Nichols and began working several different jobs in the Perry area. In 1987, Evonne married Richard Williams and in 1989 she retired from Safeway and moved back to the family farm to help her father. Evonne attended the Lucien United Methodist Church. She enjoyed collecting dolls, bowling, and raising her dogs and cattle. She was a tomboy who could best be described as a funny and independent woman who was easy going and never met a stranger. She will be missed by all who knew her. 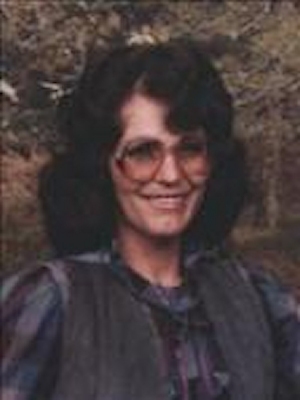 Evonne Williams was preceded in death by her parents, her brother Jerry Braden and her sister Kathleen Jones. She is survived by her daughters Jonna Davenport of Lucien and Farah Gaddis of Perry. She is also survived by her two sisters, Janet Hileman and Linda Tedder, both of Lucien. Evonne has two granddaughters who she loved very much, Megan Evonne Gaddis and Tarilyn Gaddis. Services have been entrusted to the care of Palmer Marler Funeral Home of Perry and will be held at 10:00am on Saturday September 29, 2012 at the Lucien United Methodist Church with Ruth Atterberry officiating.